Project Mu Calipers now come in different colors. 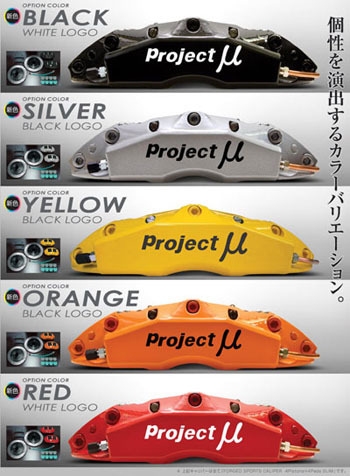 Last week we showed you the new forged caliper kits from Project Mu. This week we show you the different color options! There was a time when Project Mu brakes were only available in their teal green color but that was a thing of the past. You can order them in black, silver, yellow, or red. Now you’ve got way more options. Find out more at Mackin Industries.